ONE WEEK UNTIL ELECTION DAY!!!! Early Voting and “72-hour” Volunteers! VOLUNTEER AT ONE OF OUR CAMPAIGN OFFICES IN BROWARD – OPEN EVERY DAY THROUGH ELECTION DAY – Help us contact thousands of voters on the phone and by knocking on doors! Hollywood GOP Victory Center BBQ to thank volunteers, Saturday, November 3rd, 2 PM. In the middle of a day of phone banking, refuel with a BBQ at the Hollywood Action Center. Contact Chad at 954-305-7490. Mayor Rudy Giuliani and Senator Norm Coleman Campaign Rally on Sunday, November 4th, 11:30 AM Sunday Morning, Event at 12:30 PM. We are pleased to announce that the Coral Springs Victory Office will be hosting Mayor Rudy Giuliani and Senator Norm Coleman for a campaign rally on Sunday, November 4th! The event will begin at 12:30 PM and will be held in the front parking lot. Please be here by 11:30 AM Sunday morning to show your support so we can have a big turnout. If you are interested in being a poll greeter, please reply to this email or call Kevin at our campaign headquarters at (954) 587 – 3734. If you are interested in calling voters or knocking on doors, please reply to this email or call Ellen at our campaign headquarters at (954) 587 – 3734. The Moraitis Campaign is looking for volunteers to help at the polls on Election Day, November 6th. Even a few hours in the morning or after work can help make a big difference. Please contact Sara Pennington at 850-559-2715 or penningtonsara1@gmail.com if you can help! Central Broward Republican Club Campaign Walks/Campaigning at the Polls. Contact their club President, Ken Nuelle, at ktriumph@comcast.net. Southwest Broward Club Campaign Walks/Campaigning. Contact Jack Murphy 954-895-8525. BROWARD GOP VICTORY/ACTION CENTER OFFICES ARE OPEN! We are phone banking and precinct walking. Join us at our five offices. Please call Rico Petrocelli at HQ at 954-941-7775 or register at the link above. We will provide walking lists, call scripts and training to our volunteers. -Connie Mack – Yard Signs are available at all BREC offices. Please call 954-941-7775 before coming by to pick up. -Adam Hasner Yard Signs are available at BREC HQ at 150 S. Andrews Ave., Ste. 370, Pompano Beach, FL 33069. Please call 954-941-7775 before coming by to pick up. -Karen Harrington – Yard Signs are available at Broward GOP Victory Center in Pembroke Pines. 400 N. Hiatus Road, Ste. 200, Pembroke Pines, FL 33026. Please call 954-931-0242 before coming to pick up. -Sheriff Lamberti Yard Signs are available at BREC HQ at 150 S. Andrews Ave., Ste. 370, Pompano Beach, FL 33069. Please call 954-941-7775 before coming by to pick up. -Vince Boccard for Coral Springs Mayor Yard Signs are available at Laurette Homan’s office at Hilton Insurance Service, 10211 Sample Rd., Coral Springs, FL Please Call Ahead at 954-461-6212. CAN YOU HOUSE A ROMNEY STAFFER? With the election just a few days away, Romney campaign staffers will begin deploying to targeted areas across the country to assist with final Get-Out-The-Vote operations. One of those areas is the Fort Lauderdale office. 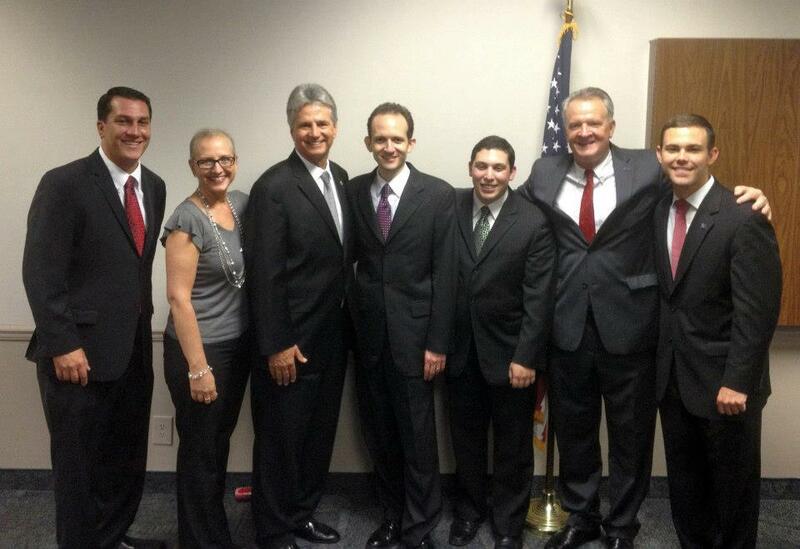 These staffers will be helping us in Broward through Nov. 6 but require temporary housing. Would you or anyone you know be interested in housing a Romney staffer over the next 20 days or so? This is a great way to help if you’re unable to regularly donate your time to phone banking or door knocking. 2012 Victory Party, Election Night, November 6th. 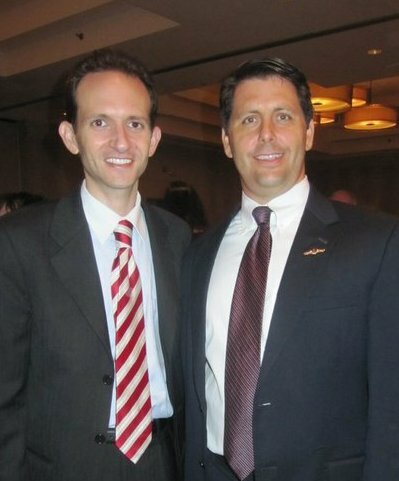 The Republican Party of Broward County and the George Moraitis Campaign for State Representative. At the Westin Ft. Lauderdale, 400 Corporate Drive, Ft. Lauderdale, FL 33334. 954-660-6720. From 7:30 pm to 12:00 am. Watch election results live with fellow Republicans. Candidate appearances throughout the night. Food will be provided – Cash bar. RSVP required by clicking HERE or call 954-941-7775. **Paid for by Karen Harrington for U.S. Congress, Inc.
***Political advertisement paid for and approved by Ellyn Bogdanoff, Republican for State Senate, District 34. ****Paid for and approved by George Moraitis, Republican, for State Representative, District 93. *****Political Advertisement Paid for And Approved by Vince Boccard Campaign, Non-Partisan for Coral Springs Mayor. ******Paid for by Romney for President, Inc.
*******Political advertisement paid for and approved by Al Lamberti, Republican, for Sheriff. ********Political Advertisement paid for and approved by James Gleason, Republican for State Representative (District 97). Political Advertisement paid for and approved by Robert Sutton, Republican candidate for Broward County Commission District 3. Victory Party Paid for and authorized by the Broward Republican Executive Committee. Not authorized by any candidate or candidate’s committee. Political advertisement paid for and approved by George Moraitis, Republican for State Representative. DISCLAIMER: Campaign notices are for informational purposes only as a courtesy to our subscribers and our Republican candidates. They are not an endorsement by the Broward County Republican Executive Committee. NOTICE TO CANDIDATES: Any Republican candidate that wishes for the BREC to send an email notice of their event in Broward County must submit it via email to headquarters@browardgop.org and it must contain time, date, location (including complete address), contact name, email and phone number with a .jpeg or PDF flyer advertising the event. Only events submitted will be listed upon the request of the campaign/candidates.